CAROL BATCHELDER, Plaintiff, v. IRON GAIT PERCHERONS INC., d/b/a IRON GAIT RESCUE JAMES ERIC BEACH and DENISE S. POLYDOR, Defendants. IRON GAIT PERCHERONS, INC., Plaintiff, vs. CANDACE ROBINSON LEE., Defendant. SHANNONDALE FARM, INC., Plaintiff, v. TRACI MORGAN and DENISE COLE, Defendants. 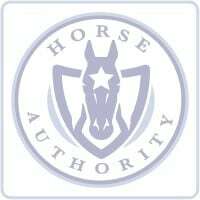 GEORGE D. PETITO, ANITA M. PETITO AND CONNECTIVE LICENSING, LLC, Plaintiffs, v. SMARTPAK EQUINE, LLC., Defendant. 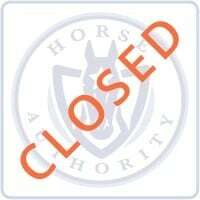 ABRAHAM & VENEKLASEN JOINT VENTURE; ABRAHAM EQUINE INCORPORATED; JASON ABRAHAM, v. AMERICAN QUARTER HORSE ASSOCIATION. RICHARD HAUSER, Plaintiff, v. GREAT AMERICAN ASSURANCE COMPANY, Defendant. RUSSELL L. EBERSOLE, d/b/a ABERDEEN ACRES PET CARE CENTER, Plaintiff, v. BRIDGET KLINE-PERRY, Defendant. LENA WEDENMARK, Plaintiff, v. DONG SEON KIM, Defendant. Naamah M. Troutman, Plaintiff vs Melissa Thurston Briski, Defendant. Lindsey Jovanovski, Plaintiff, v. Pamela Brown, Defendant. Edward Allan Buck Plaintiff v. Cesar Parra, Michael C. Davis, Kathleen Riley, Stephen Kiront, Barry Kiront, David Schrager, Defendants. Laurie Ryan PLAINTIFF v. Sharon McCusker and Kaiyun Lang DEFENDANTS. NATIONAL CUTTING HORSE ASSOCIATION, Plaintiff, v. GLORY ANN KURTZ, Defendant. BARBARA TICHNER, Plaintiff, -against- GOLDENS BRIDGE INC. d/b/a HERITAGE FARM, PATRICIA GRIFFITH and CHRISTOPHER B. MILLER, DVM. P.C., Defendants. LISA WILLIAMSON Plaintiff/Appellant v. LAKE COUNTY SHERIFF MARK C. CURRAN, JR., ET AL. Defendants/Appellees.